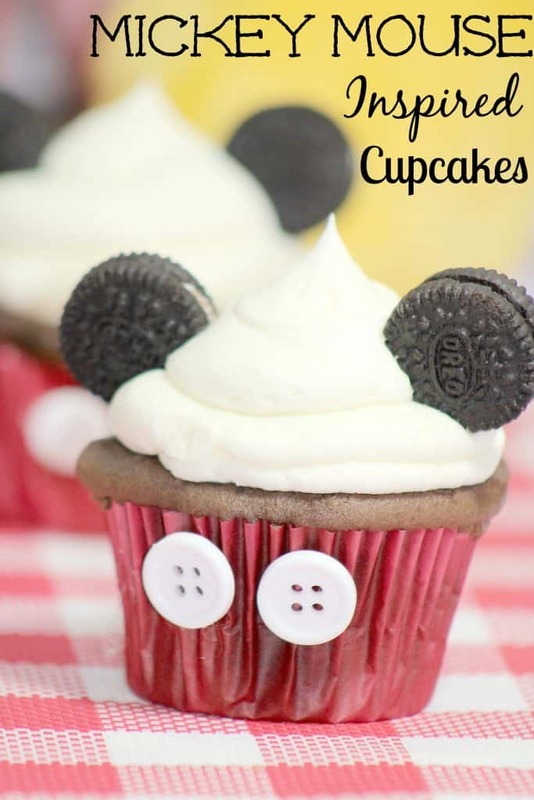 These Mickey Mouse inspired cupcakes are easy enough for kids to make too! In just 2 weeks our family will be heading to Disney and have been creating all sorts of “magical” Disney experiences before we leave! 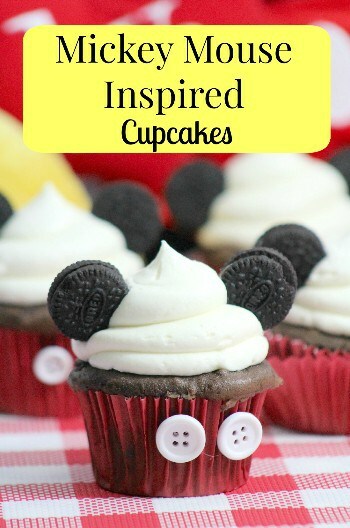 These Mickey Mouse inspired cupcakes are SO easy to make and were created with the intention of being easy enough for kids to make! 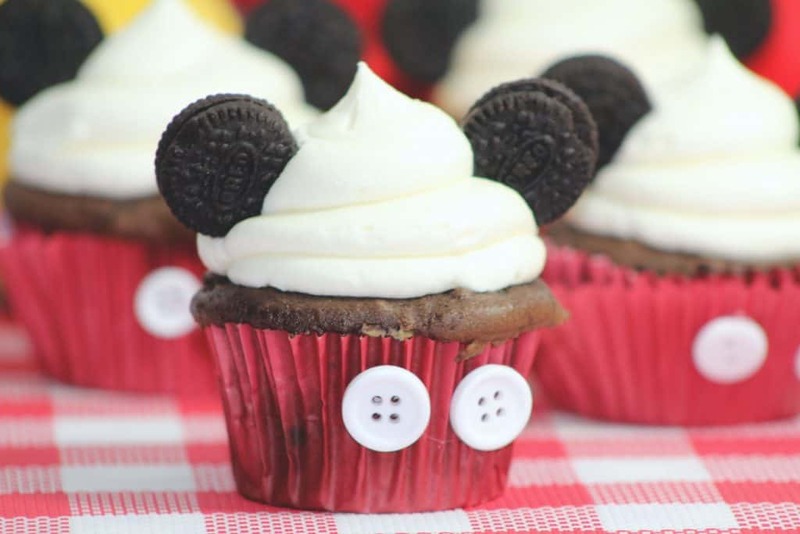 Perfect for birthday parties, Disney trips, or just plain Mickey fun – they really don’t take much more than a few minutes extra over any other cupcake recipe. 3. 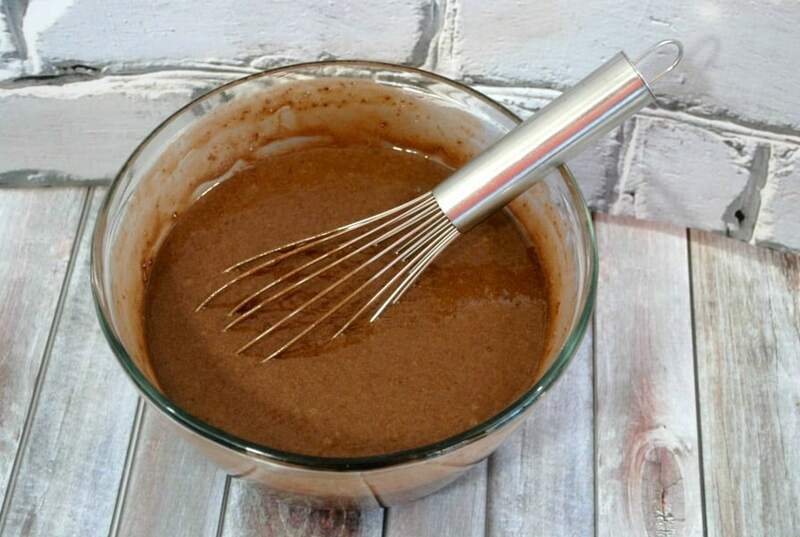 Combine flour, baking soda, salt, and cocoa powder. 4. Cream butter with sugar until light and creamy. 5. Add one egg at a time, beating after each addition. 6. Add 1/3 rd of the dry ingredients and 1/3 rd of the milk with the creamed mixture at a time. 7. Beat until smooth after adding the 1/3 rd of the flour mixture and 1/3 rd of the milk to the creamed mixture. 8. Add 1/3rd of the flour and 1/3rd of the milk until all of the flour mixture and milk have been added. Mix well. 9. 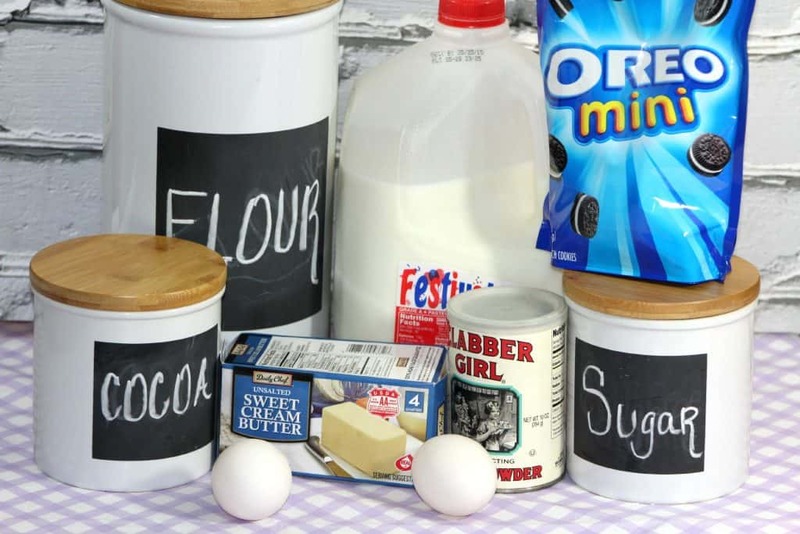 Scoop batter into lined cupcake tins. 10. Bake at 350 degrees for 20-25 minutes or until an inserted toothpick comes out clean. 11. Cool in cupcake pan for 10 minutes. 12. 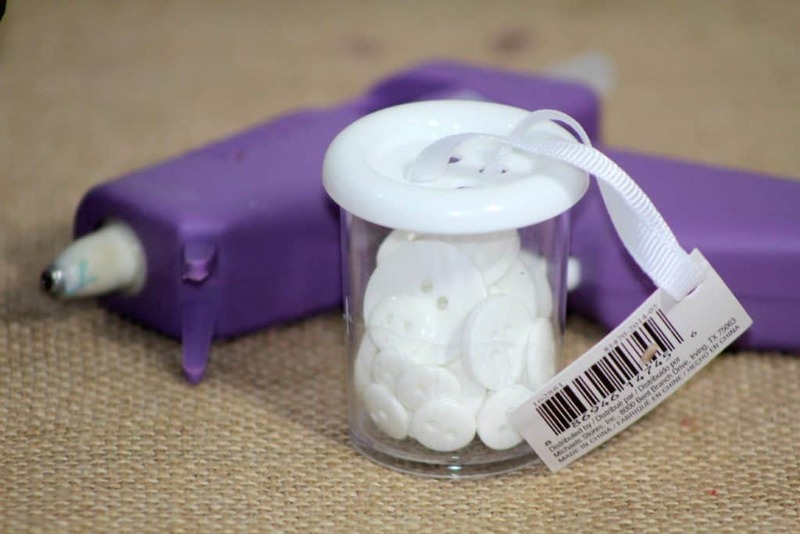 Remove from cupcake pan and cool on wire rack. Stick 2 mini Oreo cookies into the frosting on each side of the frosted cupcake. Small white buttons glued with a hot glue gun to the red paper cupcake liner. 1.Beat the softened butter until its creamy. 2. Add powder sugar mixing after each addition. 3. Mix well. Add a small amount of heavy whipping cream after each addition if it doesn’t cream (until it becomes creamy). 4. If the frosting is too thick, add more heavy cream, if too thin, add more powder sugar, a 1/2 C at a time. 5. Add vanilla extract. Stir well. 7. Take a large spoonful of frosting, turn the spoon upside down if the frosting stays on the spoon then it is done. If it drops off the spoon add more powdered sugar and mix well. 8. Spoon the frosting into a pastry bag with a frosting tip. You can easily create your own Mickey Mouse shirt similar to our DIY Big Hero 6 Baymax T-shirt Tutorial too while the cupcakes are baking! If you’re packing these up for a party or school lunch make sure to print out some Mickey bookmarks or lunch box notes! Or if you’re looking for fun ways to countdown to your next Disney trip make a Mickey themed paper chain like we did! 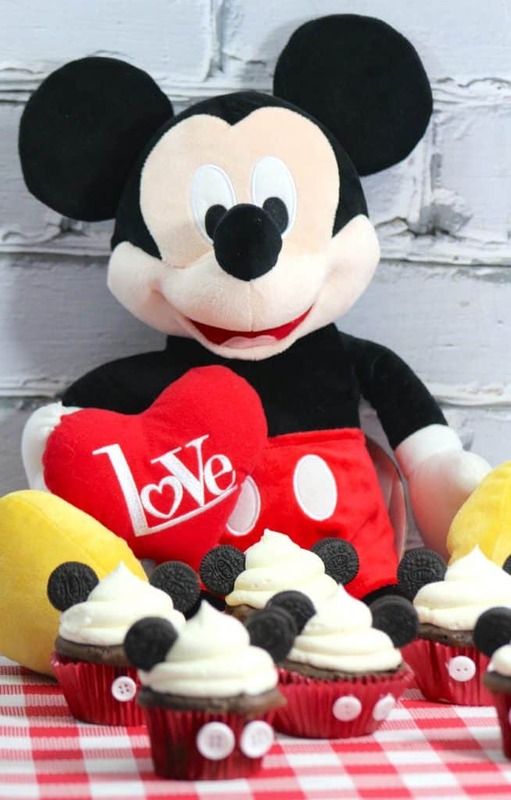 If you want some more inexpensive Disney themed fun or are just looking for cheap Disney souvenir ideas consider things like lanyards, bath toys, stickers, wall decals, die cast cars, flashlights or even practical gifts like Disney bed sheets, hats, water bottles, etc. 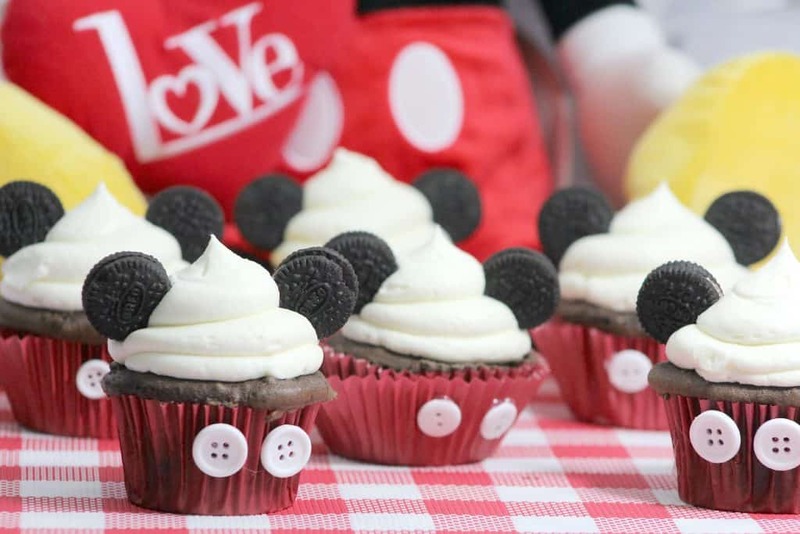 Make your Disney experience magical with these easy DIY Mickey Mouse themed cupcakes!